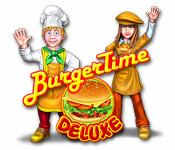 Let the culinary capers commence in BurgerTime Deluxe, a fast-paced Arcade classic! Enjoy a full course in Story Mode, or just sit down for a light snack in Quick Mode. Use your assortment of ingredients to thwart the dastardly Vinnie Vinegar and the food baddies. 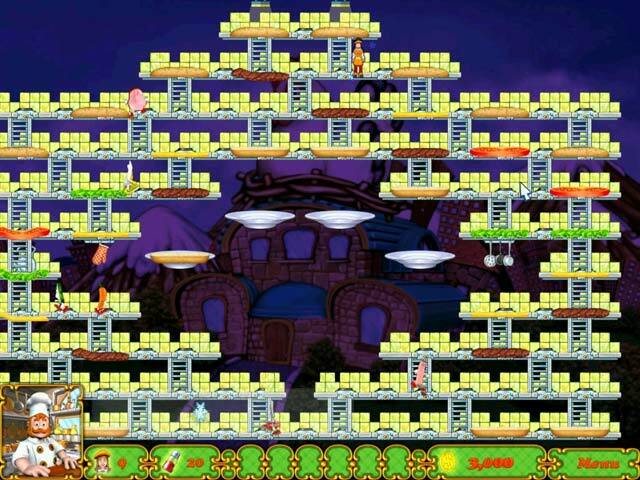 Scale the platforms and assemble the burgers to clear the levels. Daze baddies with pepper or earn big points by squashing them with falling ingredients! BurgerTime Deluxe is rated 3.2 out of 5 by 11. Rated 5 out of 5 by michaelsmom2004 from Arcade and Action Game! Just loved this game, I couldn't stop playing it. I just loved the challenge and it is different than most games. I would recommend this game for any age! Rated 5 out of 5 by Omega2luv from Oldies Are The Goodies This is classic and more fun than it was when I was younger. I am excited to know that B.F. has this game, for i have been searching for this game for years. If you played this game as a kid you will enjoy it and memories will come back. I have enjoyed playing B.T. and I hope you get the same joy for owning and playing this classic game. Rated 5 out of 5 by KelseyCO from Fun game to play, keeps you going. 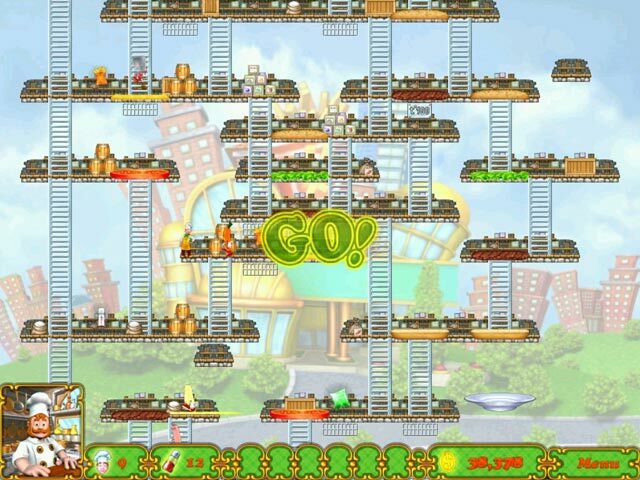 I really liked this game when I played it, to me it is almost like Super Granny with the screen levels. The only thing I didn't like is that some of the items are hard to find due to the background screen, the screen is very colorful and some of the items are tiny. If you like Super Granny you might like this game also. I recommend this game, give it a try you might find you like it. Rated 5 out of 5 by bellmary55 from Fun Game to play with the family and friends. I used to play this game years ago and always want it but never could find it in the stores. I would like to buy some of these old games for my grandkids because new games are very voilet for the kids now days are about blowing up peoples and killing peoples and always bloody. Rated 4 out of 5 by barbiecats2000 from Sort of like Super Granny Games Cute game that plays similar to the Super Granny series. 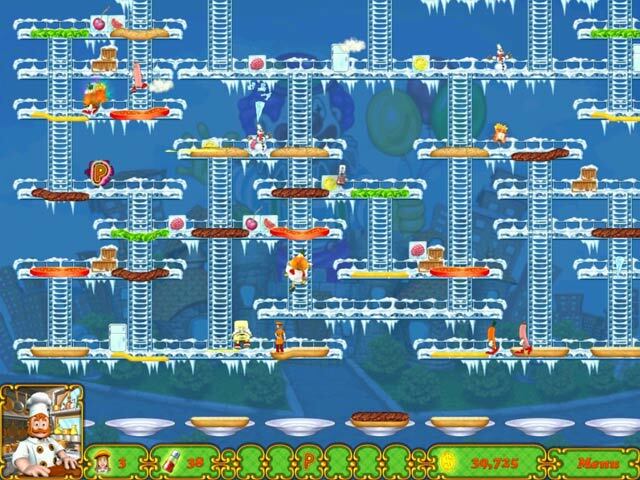 You run around on levels and climb ladders so you can run across ingredients in order to make a hamburger. Seems rather silly but kind of funny. While you are doing this you have to ward of the enemy. Fast paced but not too hard so far. Will probably get worse but worthe the DD price today. Rated 3 out of 5 by charlotte8andrew from funny A good game for me as I am quite a nervous player. Rated 3 out of 5 by misformichelle from Old school amusement This is very donkey kong esque. The long ago kind. Very much classic arcade game. Almost donkey kong meets pacman in the climbing and moving while bad guys chase you. Simple graphics and music. Will remind you of the first games in arcades. Didn't hold my attention as I am more a TM peep and the arrow key use (plus the need for the mouse to click over the advice section) is a little annoying and doesn't lead to smooth game play. If you're feeling nostalgic this game will hit the spot. For the DD price it isn't a bad buy. The characters are amusing the concept is familiar. Just not quite my cup of tea. Rated 2 out of 5 by frini7 from no challenge at all!! a quite boring game with poor old fashioned graphics. There is no challenge in this game and no reason -for me- to keep playing it. Rated 1 out of 5 by vampires_kiss from worst game I have ever seen So stupid and boring. Three minutes gameplay and I already hated this game. Plus I needed three tries to get it running. Absolutely no recommendation. Thumps down for this! Rated 1 out of 5 by GrrlScientist from boring and primitive game the goal of this game is to build a hamburger by making your character run over the ingredients -- in the proper order. the ingredients are set up on a three-tier grid that has a ladder between each tier and your character adds each ingredient to the growing hamburger pile by running over it, causing the piece to fall onto the plate below the grid. (NOTE: go to the game settings to enable the mouse cursor, or the game won't work.) music: simplistic! annoying! repetitive! annoying! graphics: primitive, pixelated and poorly rendered, like a relic from the predawn times of video gaming. also incredibly tiny. why so tiny in an otherwise giant screen filled with .. um, nothing? storyline: there's a story? even after i tried playing "story"? really? in short, i hated this game. it's boring, slow and not at all fun.